Kolkata Big Ben, a replica of the Big Ben in London, is India’s tallest clock tower as of the moment. Soon Kolkata Big Ben will be dwarfed by the upcoming free-standing clock tower in Mysore, Karnataka. Infosys has proposed to build the world’s tallest clock tower in Mysore, a historic city in South India. The 135-meter high tower found space within the sprawling 345-acre Global Education Center. The proposed Infosys clock tower in Mysore will surpass the 96-m high London’s Big Ben and the 87-meter high Hoover Tower in California. The other clock towers across the world, including McGraw Tower (53 meters) in Cornell, will take a backseat when the Infosys tower will raise its head at the Global Education Center in Mysore. The estimated cost of the world’s tallest free-standing clock tower is a whopping $8.83 million, which Infosys, one of the leading Indian outsourcing firms, will fund. A model of the monumental structure is already in place. It incorporates both Gothic and classical styles. The tower in Mysore will stand for nationalism, while Kolkata Big Ben apparently signifies colonialism because it is a replica of the Big Ben in England; the country which had colonized India. The Infosys clock tower in Mysore will have 19 floors with a boardroom. The base of the tower will feature a dimension of 22×22 meters, and the top will display a digital timepiece. “The Global Education Center in Mysore is considered the world’s largest corporate university. A clock tower will bring alive the campus with more importance than before,” Narayana Murthy, founder of Infosys. 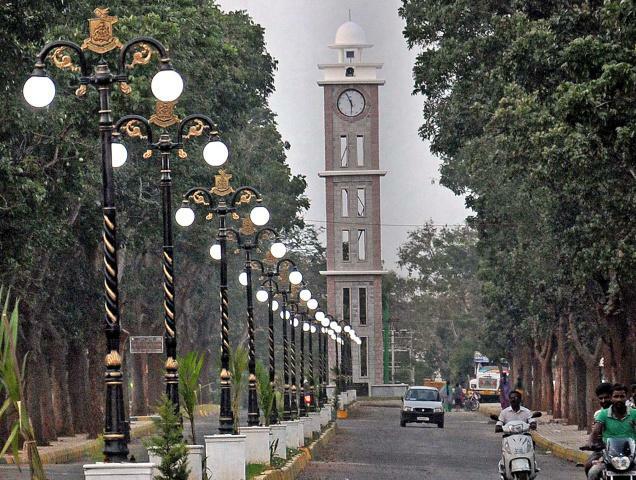 The state government of Karnataka has approved the proposal to build the world’s tallest clock tower in Mysore. The tower will be completed and the clock will be seen ticking within 20 months from now, according to the Executive Vice President of Infosys. The design of the tower has been assigned to a Mumbai-based architect who had also designed Infosys’s Mysore campus. The contract to build the Infosys clock tower in Mysore is given to the startup of a Kerala-born NRI engineer Faizal E Kottikollon based in Dubai. LERA, a New York based firm, will provide its consultancy services regarding the structural design of the firm. The Infosys clock tower in Mysore to be taller than London’s Big Ben or the world’s tallest free-standing clock tower is among the upcoming tourist attractions in India. Travel Beats is a fast-growing news portal for Indian diaspora by IndianEagle, a U.S. based international travel organization booking best flights to Bengaluru and other Indian cities. It publishes the latest news and interesting stories from India, USA, Canada, NRIs and aviation.